To get the Best of the Bond Market delivered to your email daily click here. Jeff Gundlach’s Doubleline Total Return Fund suffered $811.2 million in outflows during November, according to data from Morningstar, meaning a sixth straight months of losses for the bond maven. The outflows come despite Gundlach’s strong performance. The fund is up 0.72% this year, beating 91% of peers, according to Morningstar. DoubleLine still has $53 billion in assets as of Sept. 30. It’s proof if any were needed that investors are still wary of owning bonds in the current environment. The retreat from Total Return is far from unique, investors pulled a total of $21.8 billion from bond mutual funds and exchange-traded funds in November, marking the biggest outflow since $36.8 billion in August and the fifth-highest monthly outflow on record. 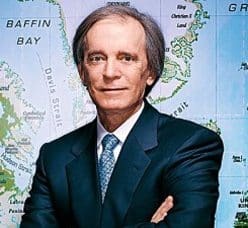 Bill Gross on the other hand, appears to be weathering the storm quite well. His PIMCO Total Return Fund, which was until recently the world’s largest bond fund, delivered flat performance in November, beating the performance of 85% of its peers. Gundlach’s DoubleLine Total Return Bond Fund, by comparison, fell 0.22% in November, beating just 55% of peers. That marked the fund’s first negative monthly return in three months after a gain of 0.64% in October. Morningstar: – U.S. municipal bond sales fall in November as refundings shrink. – Sales of U.S. municipal bonds shrank to $23.16 billion this month, as debt refundings dropped sharply from a year ago, according to preliminary Thomson Reuters data. Municipal Bonds: – Moody’s assigns Aaa to Ridgefield’s (CT) $8.1M GO Bonds; MIG1 to $5M GO BANs; Outlook stable. – Moody’s Investors Service has assigned a Aaa rating to Ridgefield’s(CT) $8.17 million General Obligation Bonds, Issue of 2013 and a MIG 1 rating to $5 million of General Obligation Bond Anticipation Notes. Defend Your Wealth: – Municipal Bonds: Looking attractive but for how long? – There are a lot of investors that seek income, and that income traditionally comes from either the dividend on stocks, or interest on bonds. When looking at the bond market, most people immediately think about government bonds and US treasuries, or even corporate bonds. Less considered are Municipal Bonds, though there is certainly an argument in favour of giving them a close look right now. Barron’s: – Build America bonds’ scarcity vexes ETFs. – Remember Build America Bonds? Interest-rate worries have put this roughly $180 billion corner of the taxable muni market on track for its first-ever annual loss. Created as part of President Obama’s 2009 stimulus plan, BABs are generally high-quality infrastructure bonds. Financial Planning: – Muni managers brace for rate spike. – Municipal fund managers, still reeling from Detroit’s bankruptcy, the surge in Puerto Rico yields and a midyear sell-off that was the worst in a quarter-century, are getting their portfolios ready for the next expected hurdle – another spike in interest rates. Patheos: – Kentucky’s faltering Ark theme park to be shored up with $62,000,000 in junk bonds issued by nearby town. – It’s a public secret that the (Noah’s) Ark Encounter, a planned 800-acre theme park in Kentucky that is a twin to the Creation Museum, is having financial difficulties. According to this article on Kentucky.com, the Biblical tourist attraction is two years and millions of dollars behind schedule. Investment News: – First Puerto Rico ETF still planned by Van Eck amid market flux. – Van Eck Associates Corp. is moving ahead with an exchange-traded fund focused on Puerto Rico and other U.S. territories, the first of its kind, even amid the biggest losses for the island’s securities since at least 1999. Cate Long: – Will Puerto Rico’s contracting economy lead to default? – Justin Vélez-Hagan is the executive director of the National Puerto Rican Chamber of Commerce, a small non-profit not to be mistaken with the much larger Puerto Rico Chamber of Commerce. Vélez-Hagan argues in a recent Forbes opinion piece that Puerto Rico must default on its debt. Learn Bonds: – Two aggressive asset allocations for income-focused investors. – Over the past couple of weeks, I have written articles discussing asset-allocation models geared toward investors who are entering retirement and have built moderate-to-large nest eggs. The first two articles in this series presented generally conservative and generally moderate asset-allocation models. In this article, I would like to outline two generally aggressive asset allocations for a $1 million portfolio. Donald Van Deventer: – Implied forecast for U.S. Treasuries and mortgages drops, with a twist. – The latest implied forward rate forecast from Kamakura Corporation shows projected 10 year U.S. Treasury yields down 0.04% to 0.10% from last week, while fixed rate mortgage yields are 0.02% lower. Mortgage yields, determined by the Monday through Wednesday weekly survey of the Federal Home Loan Mortgage Corporation, lag Treasury movements simply because of the 3-day yield calculation used in the Primary Mortgage Market Survey. MarketPlace: – Investors love government floaters. – It’s not often the U.S. Treasury shakes things up. Like most government departments, it prides itself on being steady and predictable, an island of certainty in a turbulent financial world. That reflects in the bonds that it sells, all of which are backed by the full faith and credit of the U.S. government, and all of which come with a fixed rate of interest. WSJ: – Diverse menu of bonds is served up to investors. – With corporate-debt issuance racing toward a record, some large companies are rolling out unusual offerings in a bid to serve the bond market’s every nook and cranny. Recent weeks have brought a $500 million “green bond” from Bank of America Corp., which has pledged to use the proceeds to finance renewable-energy and energy-efficiency projects, and a $1 billion Goldman Sachs Group Inc. bond that offers variable interest bond. BDLive: – Sales of US corporate bonds likely to break 2012 record. – Corporate bond sales in the US are poised to eclipse last year’s record as issuers rush to raise cash before the Federal Reserve curtails stimulus that has held borrowing costs close to all-time lows. FT: – Big companies in end of year bond rush. – Large corporate borrowers seeking to raise the last batch of funding for 2013 could sell close to $30bn in investment-grade bonds this week in the US, taking advantage of low borrowing rates and renewed appetite for high-quality corporate debt. The Times: – What risk? Investors are addicted to junk again. – Banks and investors have slipped back into their bad old ways, with appetite for junk bonds and high-risk debt at pre-crisis levels once again, according to the Bank of England. Forbes: – Could U.S. high yield be riskier than emerging market bonds? – Like all fixed income professionals – and all investors – he’s trying to work out the outlook for debt in light of the inevitable tapering of QE that must one day take place. He painted a bleak picture – “Even after the Q2 sell off, nothing is cheap in fixed income. Nothing.” But within the bleakness were some interesting distinctions. ETF Trends: – Some high-yield bond ETFs skirt duration risk. – Ten-year Treasury yields have soared 49% this year, inflicting damage on an array of long- and some medium-duration bond exchange traded funds in the process. The Street: – Getting fat bond yields — while limiting risk. – Since the financial crisis, high-yield bonds have soared. During the past five years, high-yield funds returned 17.1% annually, compared to 7.2% for intermediate-term bond funds, according to Morningstar. The high-yield funds invest in bonds that are rated below-investment grade. After being clobbered in 2008, the low-quality bonds rallied sharply as investors regained confidence. FT: – Corporate default: slim pickings. – Don’t blame the vultures for feeling frustrated. There has been little prey of late. Another year of ultra-low default rates is coming to a close. And there is scant evidence that the kind of corporate trouble that distressed debt investors feed on will be served up in bulk any time soon. ETF Trends: – Are emerging markets re-emerging? – Last summer emerging markets, both stocks and bonds, had the distinction of being the most unloved asset class. Since then, markets have calmed down. Emerging market stocks are up around 9% since last summer, and have narrowly outperformed their developed market counterparts. Has the luster returned for EM? As is often the case with EM, the story is nuanced. Here are four things to keep in mind. ETF Daily News: – The new ProShares emerging market bond ETF (EMSH) in focus. – ProShares is best known as an ETF provider of leveraged and inverse funds and it is one of the main players in this market. However, the company has also made a big push into the unleveraged ‘regular’ ETF market as of late, launching a series of funds in this corner of the fund world over the last few weeks. Artemis: – Catastrophe bond market reaches all-time high with 20% growth. – Global reinsurance firm Swiss Re says that 2013 will be the second strongest for catastrophe bond and insurance-linked securities (ILS) issuance on record, helping the outstanding cat bond market grow by 20% this year to reach an all-time high. Morningstar: – Thoughts for today’s bond market. – Morningstar’s Markets Research group has assembled a PowerPoint presentation entitled Investing in a Rising-Interest-Rate Environment. (The link goes to Morningstar’s Institutional Library, as the presentation isn’t yet available to the general public.) The material sets the current bond market in context–what it means to be invested when interest rates are relatively low, and may soon be rising. CNBC: – Take cover! Bond market ‘hell’ could be on the way. – If fixed-income investors were under any impression that 2014 could mark an end to the turbulence experienced this year, they should think again – with some analysts predicting volatile conditions on both sides of the Atlantic. Morningstar: – An American funds bond fund gains 2 new co-managers. – Earlier this month, Capital Research made some manager changes to American Funds Intermediate Bond Fund of America, which has a Neutral Morningstar Analyst Rating, in an effort to boost the fund’s lackluster returns. Schroders: – Schroders: The fixed income sector offering the best value in 25 years. – Schroders’ fixed income managers have been adding to US municipal bonds across their portfolios on the view that the sector is ripe for reappraisal by investors. Barron’s: – The active issue comes to bonds. – Most of the debate about active versus passive management has focused on equities, where dollars have steadily been migrating into index strategies. In contrast, actively managed bond funds account for $2.7 trillion, according to Lipper, versus about $500 million for passive index funds and exchange-traded funds. About.com: – November 2013 review: Great rotation continues. – November 2013 is history and 2014 is just around the corner. Stocks, as measured by the S&P 500 Index, climbed 2.5% in the month and bonds, as measured by the BarCap Aggregate Index, were flat at nearly 0.00%. This continued the performance theme for the entire year, which has consisted of above-average returns for stocks and below-average returns for bonds. John Gilluly: – Are bonds on a collision course with housing, history and the Fed? – The yield curve is steepening again, a process that always occurs ahead of the hope of a robust economy. Since the recession ended in 2009, the high-side of the yield curve has topped-out above 4.65% (TYX), some 80 basis points above where we are now. But each time the Federal Reserve ceased its stimulus programs (QE), the long end of the curve quickly cooled and interest rates dropped. Gross: Weak currencies (Yen, Real) pose problems for strong currency countries (China, US, Germany).